The latest PTZ we’re offering is this Elite series IPPTZ-ELS2L12X which is a reasonably priced, top quality product that offers you considerable versatility when it comes to placement. The ability to Pan Tilt and Zoom makes this a perfect fit almost anywhere that you need another “set of eyes”. You’ll be able to record in high definition 1080p resolution or 2MP @30fps and you will be able to see features that will improve your ability to identify a criminal or any unique features. Add to that a 12x capable zoom (5.3-64mm) and you’ll have a personalized crime fighting tool to help you keep your home or business safer. One of the great features of this camera is the True WDR (Wide Dynamic Range) that takes multiple images within a frame and combines the dark and bright areas to create a balanced image where overexposed and under-exposed images are eliminated. This features the 1/2.8 inch STARVIS™ CMOS image sensor that works in low-light situations and allows the camera to capture color video by more efficiently using the available light. This helps you to be less reliant on IR (infrared) and additional light and helps your camera deliver clear images even in dark environments. The Pan Tilt Zoom features let you Pan from 0° ~ 360°; Tilt from -2° ~ 90° and zoom 12x as you set your camera using a variety of preprogrammed patterns, tours, and manually programmed settings to make your camera work the way you want it to. This camera includes an IP66 weatherproof rating that certifies it against water and dust intrusion and making it perfect for indoor or outdoor use. It’s even been tested to withstand an equivalent of 120 pounds of force, thereby earning it an IK10 vandal resistance rating. Use the convenient onboard Mini SD slot and record up to 128GB of video footage to your SD card that can be easily shared with the police or whomever you might need to have access to it. With conformance to multiple protocols including ONVIF, PSIA, and CGI, your PTZ can be used with many available Network Video Recorders (NVRs) and utilizing features like the H.265+ video compression codec, you can depend on the latest technology to help reduce the strain on your network! 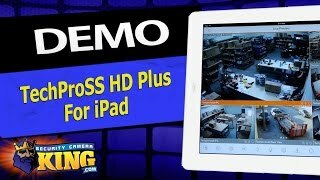 Take advantage of Tripwire, Intrusion, Face Detection and other IVS (Intelligent Video Surveillance) features that will allow you to personalize your settings by using the features that are most important to you. This camera includes a matching wall mount and a 24V AC Power Adapter or you can use the available PoE+ as your choice for power. 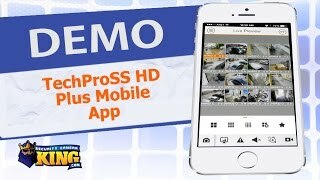 This camera includes 2 year warranty, FREE US based tech support, and FREE remote monitoring apps!